Live Russian bands, charming birdcages and fairylights make Cafe Cotinga perfect for date night, with their beautiful romantic ambience and delectable, mouthwatering dishes. Soothing music and Banoffee pie, who needs more for a perfect date night? If that doesn’t float your culinary boat, they also have killer butter chicken, butter-garlic naan and fish tikka. 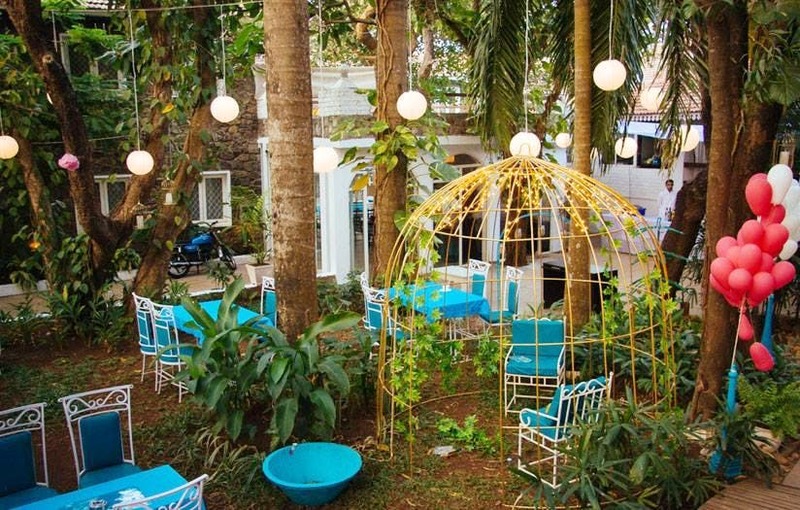 All their poultry and seafood preparations are soft, succulent and fresh, and coupled with the blue-and-white decor, you’ll fall in love with Goa all over again. Primarily loved for it’s desserts, if you’re in the mood for savoury food then try the grilled prawns in lemon garlic sauce and honey chicken. Their Mughlai appetizers and mains are worth a try too, especially if you’re missing dal makhni and tamarind fish. Book the birdcage table and enjoy a special dinner date together.